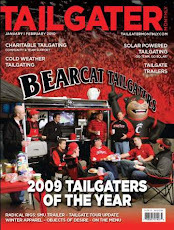 I found this at TailgateLot.com.... Are you ready for this year's Tailgate Season? Kick-off is less than two weeks away. Time for Tailgater Two-a-Days!